Posted by Corinne Pralavorio on 8 Jul 2016. Last updated 13 Jul 2016, 17.09. It’s full speed ahead for the Large Hadron Collider (LHC), as it shatters its own records one after the other, achieving record luminosity, record numbers of bunches and a record beam lifespan. Some 2076 bunches of 120 billion protons are currently circulating in the ring in each direction. At the end of June, beams were maintained in the accelerator for a record 37 consecutive hours! But the main indicator of success for the operators is luminosity, the measurement of the number of potential collisions in a given time period. On 29 June, peak luminosity (the number of potential collisions per second and per surface unit) exceeded 1034cm-2s-1. This number may not mean much to most of us, but it made the LHC operators very proud as it corresponds to the ultimate objective defined by those who originally designed this huge machine! The result is a torrent of data for the experiments. 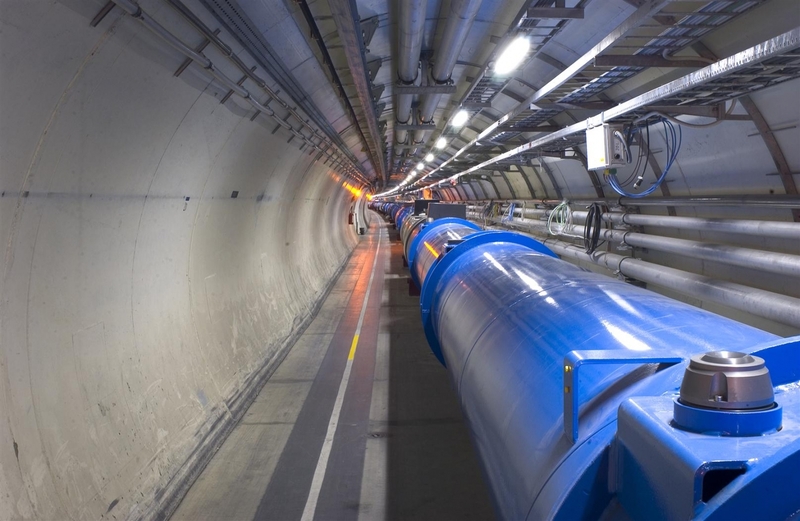 “At present, we are providing an integrated luminosity of 2 inverse femtobarns of data per week,” says Jorg Wenninger, who is in charge of the LHC operations team. The inverse femtobarn (fb-1) is the unit of measurement for integrated luminosity, indicating the cumulative number of potential collisions. One inverse femtobarn corresponds to around 80 million million collisions. This graph shows the integrated luminosity delivered by the LHC to the ATLAS and CMS experiments in 2011, 2012, 2015 and 2016. The integrated luminosity indicates the amount of data delivered to the experiments and is measured in inverse femtobarns. One inverse femtobarn corresponds to around 80 million million collisions. On Wednesday, the ATLAS and CMS experiments, which take the most data from the LHC, passed the threshold of 10 inverse femtobarns (fb-1) of integrated luminosity for 2016. The goal for 2016 is to reach 25 fb-1. These huge volumes of data are causing much excitement in the experiments. Physicists are adding new data to their analyses and actively preparing their results. The next goal will be to present the first results from the 2016 harvest at the ICHEP 2016 conference, which will take place at the start of August in Chicago in the United States. How to produce the purest argon ever?